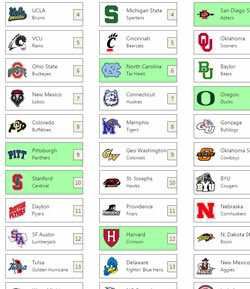 Let us manage your NCAA Pick X Pool this year! 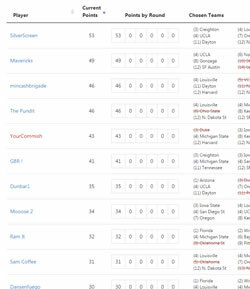 If you're looking for a new type of March Madness pool to run this year, a Pick X Pool for the NCAA Tournament is a fun format to try. Picking the best teams is a lot more challenging than it may seem. Pick too many high seeds and your point total will be too low. Pick too many Cinderella teams and they might blow your chances. The Pool Administrator configures how many teams members pick. 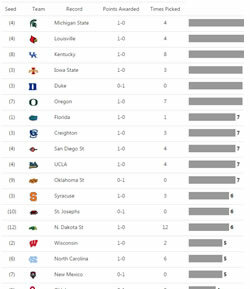 Members pick any NCAA teams out of the field of 64. No other picks are made during the tournament. The same NCAA teams can be picked by more than one member. The winning team is the team with the most points at the end of the NCAA Tournament. Your pool members now pick their 8 teams from the field of 64. The price to continue using the service is based on the number of members in your pool. The following price tier structure is your one-time fee for the entire NCAA tournament! 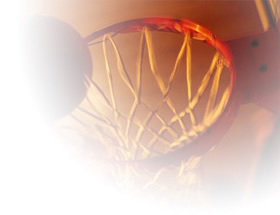 Start your March Madness NCAA Pick X pool with us today. If you have any additional questions, please contact us via e-mail. We're happy to answer any questions you may have.